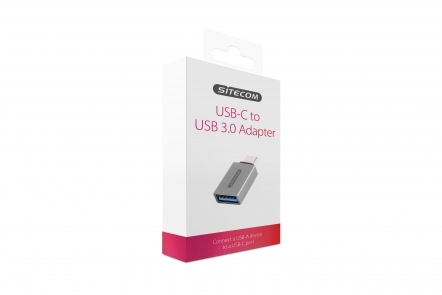 The CN-370 USB-C to USB 3.0 Adapter from Sitecom lets you connect any USB device like a phone, tablet, hard drive or USB hub to the USB-C port of your MacBook, Chromebook or Windows notebook. 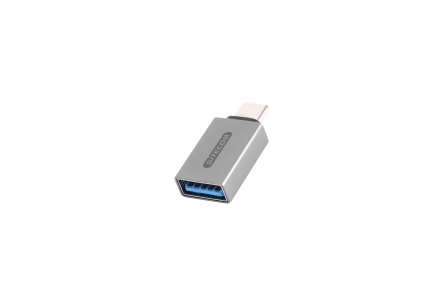 The CN-370 USB-C to USB 3.0 Adapter supports SuperSpeed USB 5Gbps. With transfer rates of up 5 Gbps, it lets you transfer files 10 times faster than with Hi-Speed USB 2.0, ideal for copying Ultra HD movies, music collections and vacation images. The CN-370 USB-C to USB 3.0 Adapter is fully Plug & Play out of the box and backward compatible with USB 2.0. Simply plug the adapter into the USB-C port of your device, no drivers needed. The adapter is compatible with all operating systems.